Mary, a one year old baby was sitting on her baby chair eating the porridge her parents had given her. Her parents smiled at each other when she finished, as now she could sleep peacefully. But suddenly Mary spat out the food she had been keeping in her mouth instead of swallowing it. 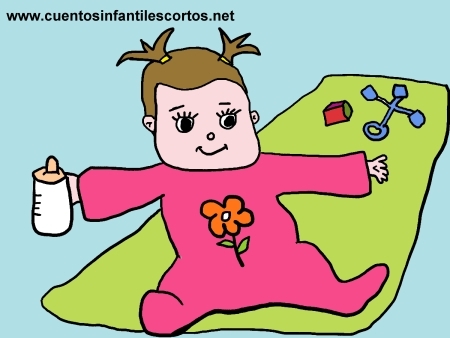 Mary´s mother started to cry, and the baby realised that she wasn´t being very nice and felt guilty of having made her mum cry. She wanted to apologise but didn´t know how, until after a big effort she said: “I am sorry mum, I won´t do it again” – she said. Her parents started to cry again, but this time they were crying for joy because their daughter had just said her first words and had found out that she was a good person who was able to apologise.